Arizona women’s golf finished in 10th place at the 13th annual Landfall Tradition on Sunday in Wilmington, N.C. The team finished the two-day tournament with a total score of 881. The Wildcats finished the tournament in three rounds with scores of 293 and 299 on Saturday and 288 to end the tournament on Sunday. UA women’s golf head coach Laura Ianello said she was not pleased with the team’s performance. 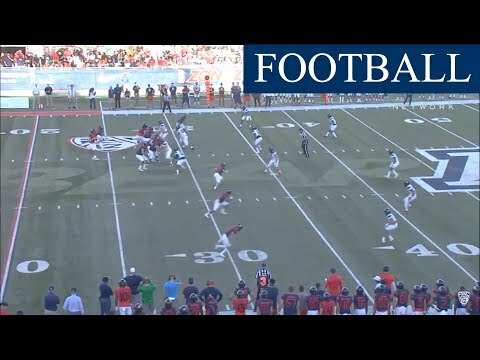 Arizona played against 18 teams, including No. 3 Duke, which is the reigning NCAA Women’s Golf Champions. The Wildcats had three players finish in the top 50 out of 18 teams. Senior Manon Gidali, sophomore Wanasa Zhou and junior Lindsey Weaver all placed in the top 50. Gidali tied for 11th place with a total score of 216, Zhou tied for 41st place with a score of 222 (+6) and Weaver tied for 49th place with a score of 223 (+7). Senior Kendall Prince just missed the top 50, tying for 55th place with a score of 225 (+9), and sophomore Jessica Vasilic finished tied for 69th place with her score of 228 (+12). “The girls all seemed to struggle on the second day, which really killed our momentum to get a top-place finish,” Ianello said. Wake Forest placed first at the tournament with a total score of 865 (+1), Alabama placed second with a total score of 868 (+4), and South Carolina and Notre Dame tied for third place with scores of 871 (+7). Sophomore Ashley Holder from Central Florida placed first with an individual total score of 209 (-7). Arizona will be playing in its last tournament of the preseason at the Pac-12 Conference Preview Nov. 3–4 in Kona, Hawaii. The team will then have a break until the regular season begins in February. Ianello said that during the break, the team will spend more time in the gym for strength training. This year, the Arizona men’s and women’s golf teams began using the Sewailo Golf Club at the Casino Del Sol Resort as their new home course. The women’s team will host its first home tournament at its new home course in March.